When I'm not in the design studio... 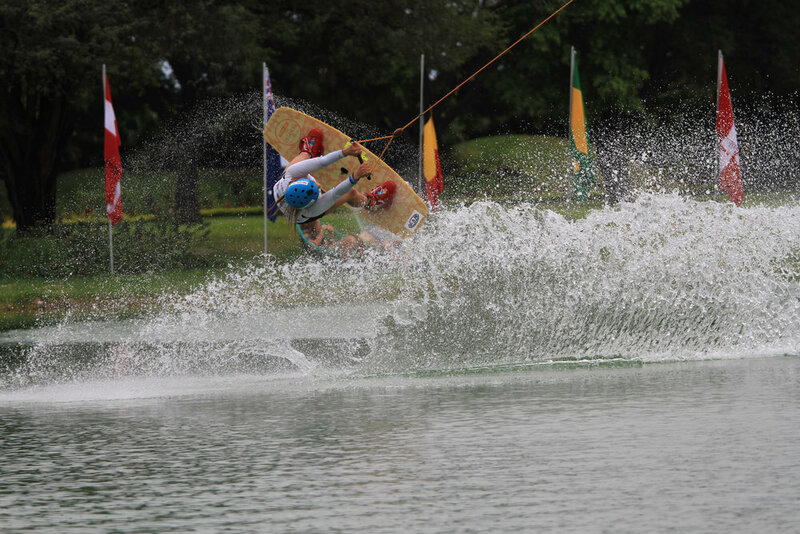 I can more often than not be found in a freezing cold lake in the UK training for my next wakeboarding contest. Being a part of the British Wakeboard Team for the past 8 years has been an incredible experience. My first international event representing GB was the 2008 European Championships in Bursa, Turkey where I came 4th in Open Women. This gave me a taste for competing at an international level and since then I’ve traveled to Finland, Germany, Serbia, The Philippines, Sweden, Norway, Italy, Japan, China, Israel and now Mexico with the team. I turned 30 last year so this was the first year I was able to also compete in the Masters Category at both the Europeans in Israel and the World’s in Mexico. Israel was a fantastic trip with our hotel right on the beach and a big GB team. There’s no feeling quite like having your teammates on the dock cheering you on as you take to the water for your run. I was really happy to take the silver medal just a couple of points behind Veronika Holubová from Czech Republic. After narrowly missing out on the Gold though, I was super motivated to train hard back in the UK for the 6 weeks leading up the Worlds in Mexico. 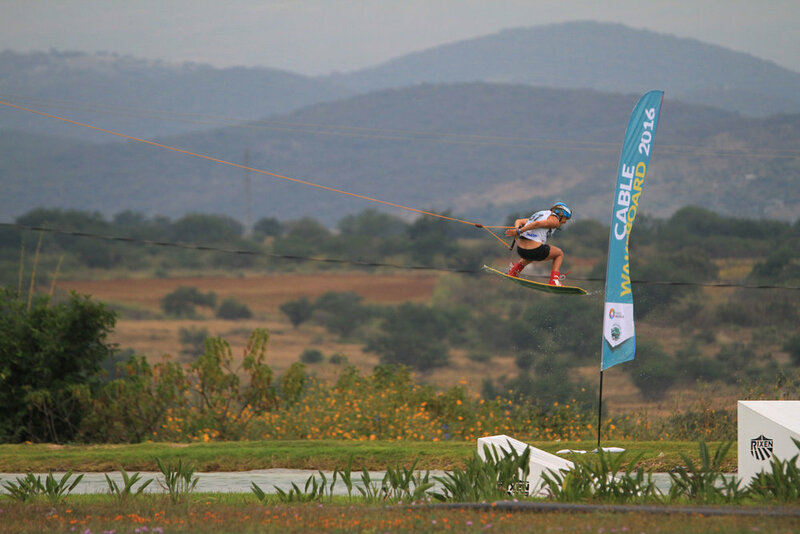 In a wakeboard contest, you are given 2 runs and only your best run counts. The scoring is live, so you know your position as soon as you have ridden. In the finals I was really happy with my first run, which included a 540 off the kicker, transfer and blind judge. I couldn't believe it when the results were posted before my second and I got the confirmation that I had done enough to take the win! It felt pretty amazing to ride around the lake knowing I was World Champion. Congrats to Veronika for taking Silver and Nadine Härtinger from Germany for Bronze. We couldn’t go too wild celebrating though as I was still riding in the Open Women category later in the week (that's basically the overall event, where anyone can compete regardless of age). After such a high in the Masters contest I was feeling really pumped going in to the qualification round for Open Women. It was a tight heat, but I managed to qualify directly for the finals (top 8) in 2nd spot with a run that included a blind judge, roll to blind and some solid rail hits. With nothing to lose in the final, I was really excited and delighted to end up in 4th position overall, very narrowly missing out on the Bronze medal! Thanks to my sponsor Animal UK, who has supported me for the past 10 years. If you live in the UK and fancy trying wakeboarding, I would recommend heading down to Liquid Leisure just off J5 on the M4! Newer PostBetter than a Christmas Card.